Mazda, the official automobile sponsor of interactive festival South by Southwest (SXSW), is planning a range of brand experiences at the event, combining music and technology. Russell Wager, vice president of marketing for Mazda North American operations said: "As we celebrate our third year at SXSW, we've developed a collaborative space for those who wish to wander and discover. Those who seek to understand why it's important to not just drive a car, but to have a passionate driving experience. Through our previous work with SXSW, we've found that attendees of the festival share common passions with our brand, and what better way for us to connect with those people than in a place where they are already seeking new creative outlets and forms of expression?" From 14-17 March, Mazda is inviting SXSW attendees to explore the brand's challenger spirit by attending design, technology and innovation downloads at the Mazda Studio at Empire. The studio, which was developed in partnership with The Hollywood Reporter-Billboard Media Group's sites Spin, Vibe and Stereogum, will feature Mazda designers and brand experts who will host new activities each day, along with live performances from many of SXSW's brightest emerging and established artists. The week-long activation will lead guests on a journey from the foundation of why Mazda exists, to the evolution of where Mazda seeks to position itself as a brand in the future. Attendees will discover why Mazda continues to push itself to be more than a car company, by getting involved and experiencing Mazda's innovation downloads and artistry process first-hand. At night, the venue will transform into a music hot spot for official SXSW showcases featuring well-known talent as well as those on the verge of breaking into the industry. Building on Mazda's never-stop-challenging spirit, the venue will give lesser-known musicians an avenue to share their passion and unique approach to an established art form. Evening music showcases will be powered by Spin, Vibe, and Stereogum, and will set the stage for an environment that aims to bring together the most creative minds, with the highest level of passion. 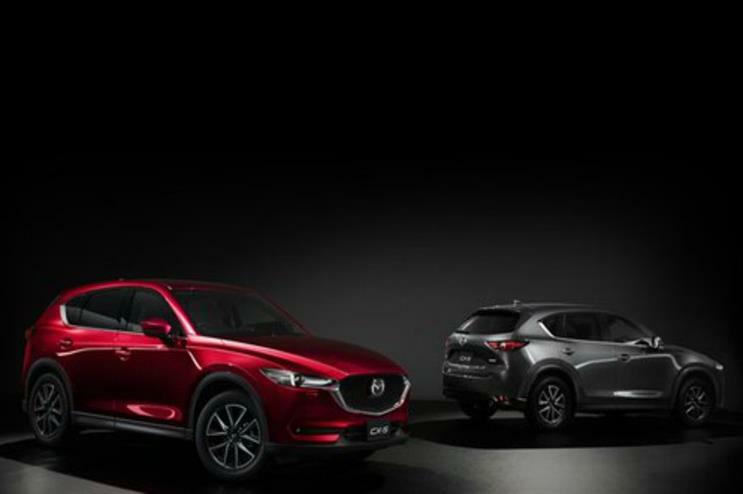 The Mazda Express complimentary rides will be available to shuttle registered attendees through the city, featuring the all-new 2017 Mazda CX-5 as well as the entire Mazda vehicle lineup. Mazda used its MX-5 sports model in a stunt to activate its sponsorship at last year's Tomorrowland Festival in Belgium. The brand also partnered with experiential agency George P Johnson last year to develop an auto show booth experience.